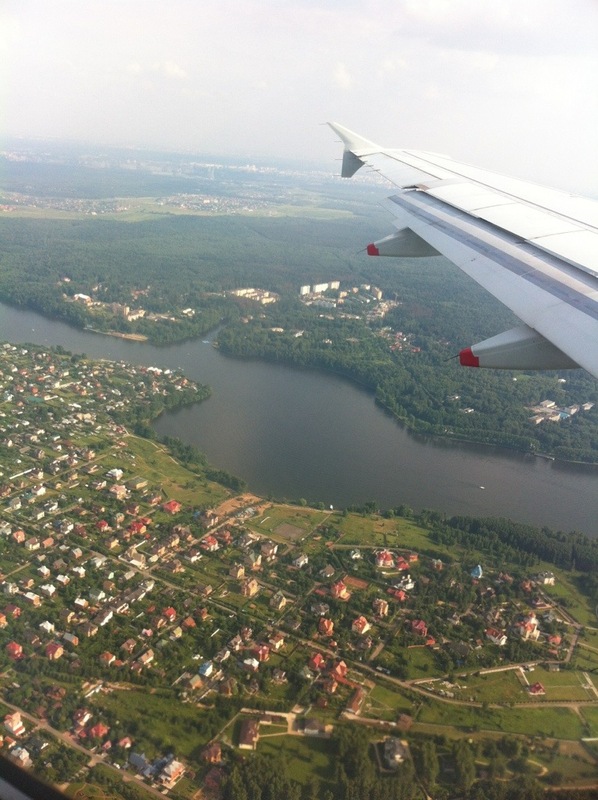 We endured the most tortuous flight we’ve ever taken in order to get to Moscow. Remember when flying meant wearing your Sunday best and smiling service? Airlines have taken all the fun out of it and then some. Any flight which originates in the US is almost guaranteed to be bad at this point in time but we were not prepared for the instrument of torture Delta called an airplane. Our flight was broken up into three legs, the second one lasting 9 hours from Atlanta to Milan. In order to cram as many passengers as they can into their airplanes, they’ve reduced their leg room to the point where, even though I am not a tall person, my knees were propped up into the seat in front of me. I can only feel sorry for all those big people on our flight, even Alejandro complained of not having enough room and he’s still a child. The seats were as hard as concrete. Are they also cutting corners on stuffing now? All of us were in pain from seating down but there was barely any room to even get up and stretch your legs. Seriously bad flight. Don’t even get me started on the food. The only good thing about our flight was the Italian grandmother seated next to me. As I contorted into pretzel-shape trying to get comfortable enough to sleep, my blanket slipped off and I had to choose between being cold or pulling the blanket up and changing my position. As I pondered my choices, she pulled the blanket up for me and covered me up! I loved her. Even more so since she kept doing it throughout the night. We had a 4 hour layover in Milan before continuing on to Moscow on Alitalia. What a difference that flight was. Our Alitalia flight was a logistics mess: a bit late and attendants kept making mistakes when checking documents, which produced long lines. The Milan airport is pretty crappy too but we were more than happy to have put up with it all when we found our plane to have the old cushy seats set at a reasonable distance from those in front. Seriously, what do we want a shiny “state-of-the-art” airport for when planes are so horrible? I’d happily put up with a rundown airport if it meant a cushioned seat on the plane. Pretty, isn’t it? We got in at Sheremetyevo airport, made famous of late by being the place Edward Snowden is allegedly hiding in. It’s a small, old airport and we didn’t see any sign of Snowden anywhere, not even signs of any out-of-the-ordinary security measures. We were a bit aprehensive about coming to Moscow. The guide books all talk about how dangerous it is: police corruption and petty theft are common themes. They also make a point of talking about the morose nature of the Russian people. We’ve had a great time and haven’t experienced any difficulties other than those which come from not speaking the language. Our hostel had arranged for a taxi to be waiting for us at the airport. This was all done by email so we weren’t quite sure that it’d be there but he was there holding up a (badly) handwritten sign when we came out of the airport. We made the one hour trip to the hostel in complete silence since we couldn’t understand each other, a missed opportunity that still bothers us. 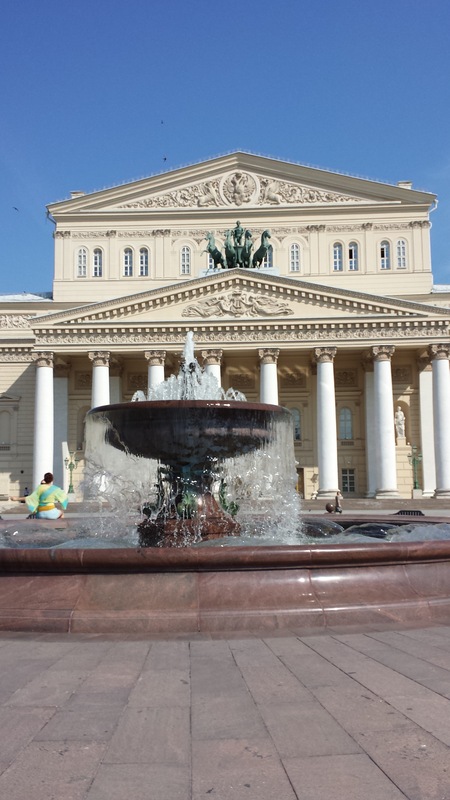 Our first impression of Moscow was how much like Mexico City it is. Long distances, old historic buildings and small parks scattered all over, 8-lane city streets crammed with traffic. The only thing reminding us of where we were was the fact that we couldn’t read any of the signs. Big, chaotic, full of life: we immediately felt at ease. We got into our hostel late at night but with our internal clocks out of sync. I’ve got to put in a good word for the Taganka Hostel: it’s clean, comfy and attendants are nice and helpful. The only weird thing is that they’ve only got two bathrooms and four showers for about 10 rooms. I say weird because surprisingly there have been no issues with it. We got a four-bed room to ourselves, took showers and turned in. 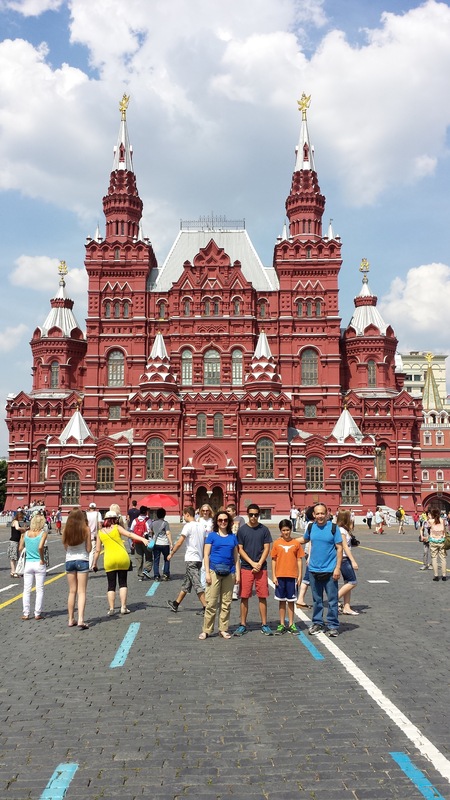 The following morning we took the Metro (subway) to the Red Square. The Square was being set up for a nightime concert and a Vans commercial was being filmed at the time so chunks of the square were cordoned off. This made the square seem less impressive than we expected. 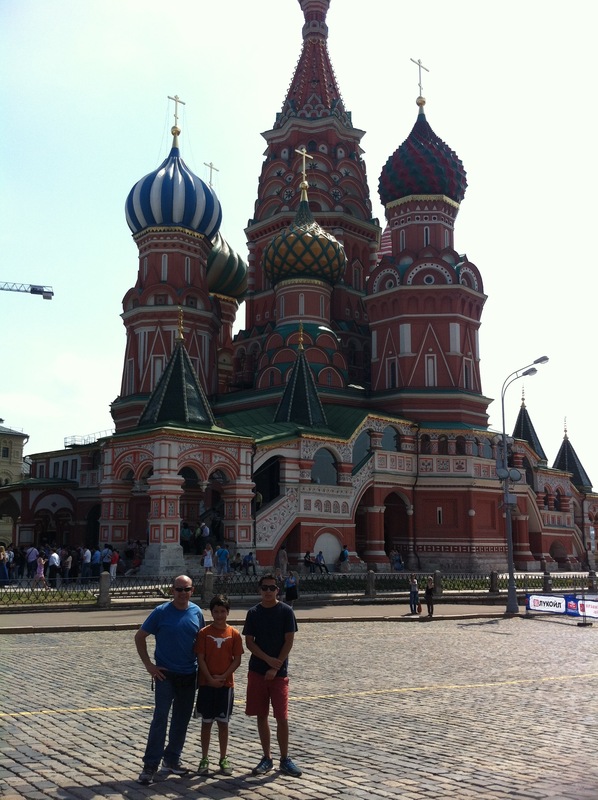 St. Basil’s Cathedral was impressive enough to make up for it. St. Basil’s was commisioned by Ivan the Terrible to atone for his sins and later dedicated to Vasili who predicted Ivan’s death and that he would murder his own son. It is beautiful both inside and out. 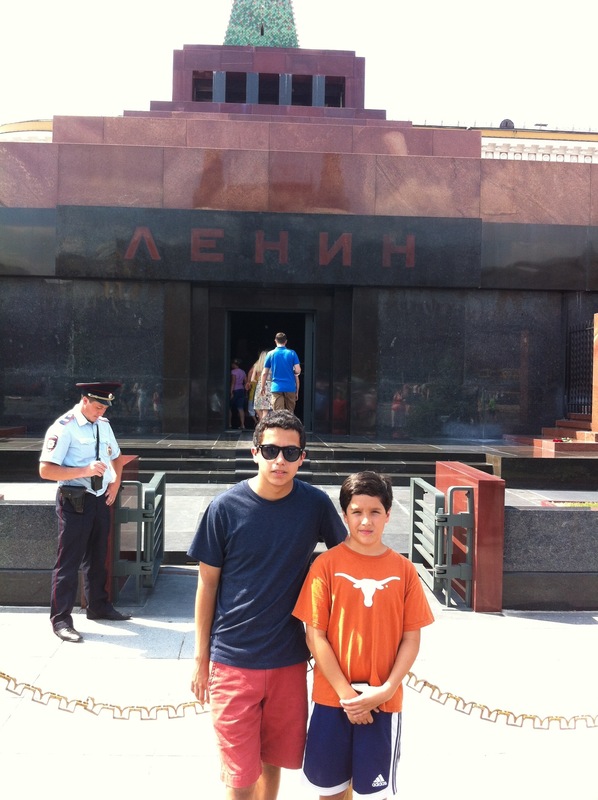 On the Kremlin side of the Square, sits Lenin’s Mausoleum. We were unaware of this and simply joined a queue which formed there without realizing we were barely in time to visit: half an hour later it closed for the day. Inside, Lenin’s body has been preserved for exhibition with such good results that he looks as if he were just taking a nap, after almost 90 years! No pics allowed though so you’ll just have to visit him yourself. 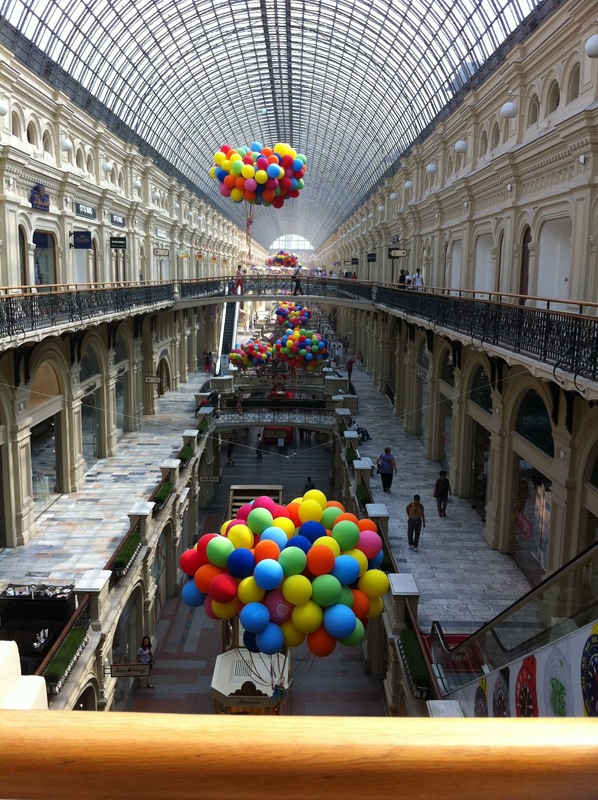 and on the other side the GUM, Moscow’s nicest shopping mall. It is full of pricey designer stores and upscale cafes; there is even a historic toilet which you can visit, for a fee of course. 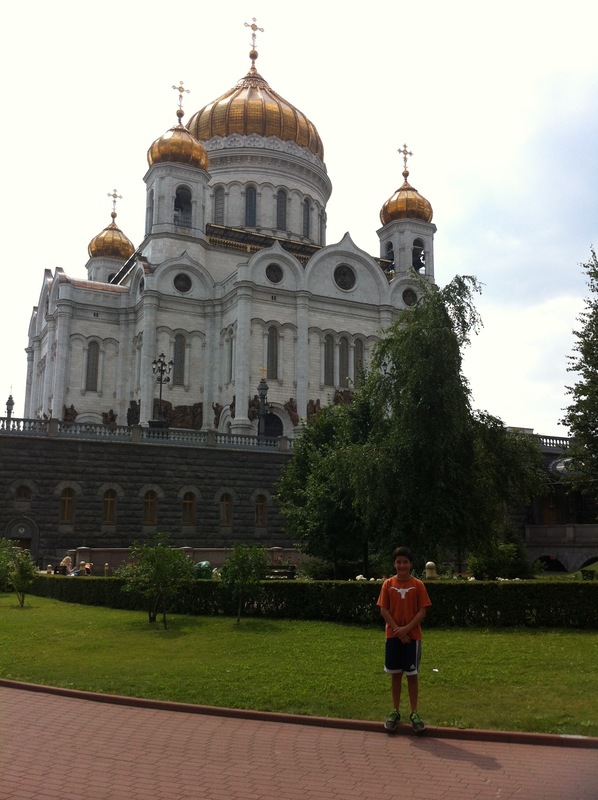 After enjoying a freshly made strawberry smoothie at one of the GUM’s cafes, we braved the insufferable heat once more and walked all the way to the Cathedral of Christ the Savior because Fernando insisted on visiting the gold onion-domed church he could see in the distance. only to arrive at the cathedral’s closed doors and settle for popsicles on its steps. The heat has been a real problem here in Moscow. A/C is almost nonexistent and even cold drinks are though to come by. Sodas are not refrigerated, only juice and beer are. The shopping mall and supermarkets have ventilation but no cold air. It’s not Texas-style heat but close to it. We are so spoiled with our A/C life in the US that the guys have had trouble sleeping. Moscovites seem to be enjoying the summer wholeheartedly. Women wear the most minimal skirts coupled with impossibly high heels. Big, exhuberant women of all ages and sizes. Men seem too busy with their beers to notice them though. More than half of them carry big 1-liter bottles of beer in hand at all times of the day or night and sometimes the Metro reeks of alcohol-laced sweat. We’ve becomes experts at taking the metro. 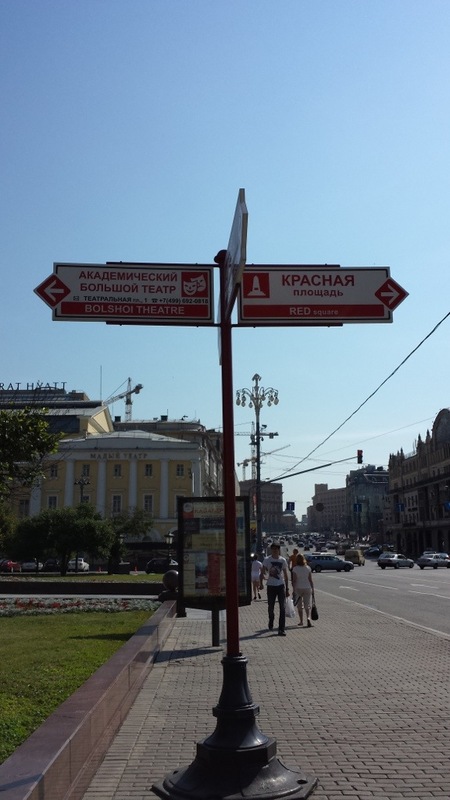 It’s easy enough…if you can read Cyrillic, which we can’t. Our hostel gave us a black&white printout of a Metro map (Metro lines use colors to differentiate) in Cyrillic and we’ve done quite well with it. Some of the Metro stations ought to be designated as museum pieces, they’re that pretty. Nightime comes late, 11pm is still light out so it’s easy to lose track of time. We’d read about the many dangers of pickpockets and police but we’ve felt safe everywhere. We’d read that Russians are stern and unfriendly but we’ve been helped many times. Once you get used to the loud voices and lack of smiles, you will notice that they are actually very accomodating. They simply don’t make a big deal out of it. I’ll talk lots more about this aspect of the Russian personality later on. I’ve had some technical issues with my pics so please forgive the dearth of them exhibited in this post. It has now been resolved and I promise many more to come in the following posts. For now, please enjoy these few. 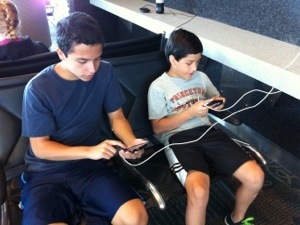 glad you guys are on your way, thanks for letting us share! Last indoor soccer game today…Have missed Fernando! Very glad to have you following along!! What a great intro to Russia. Bet you are appreciating a/c and ice these days! Glad to hear you are all safe and sound after the flight, keep up the posts!